There is no rushing when paddling. When you paddle you go at the pace of the water and that pace ties you into a flow that is older than life itself on this planet. Acceptance of that pace, even for a day, changes us, reminds us of other rhythms beyond the sound of our own heartbeats. 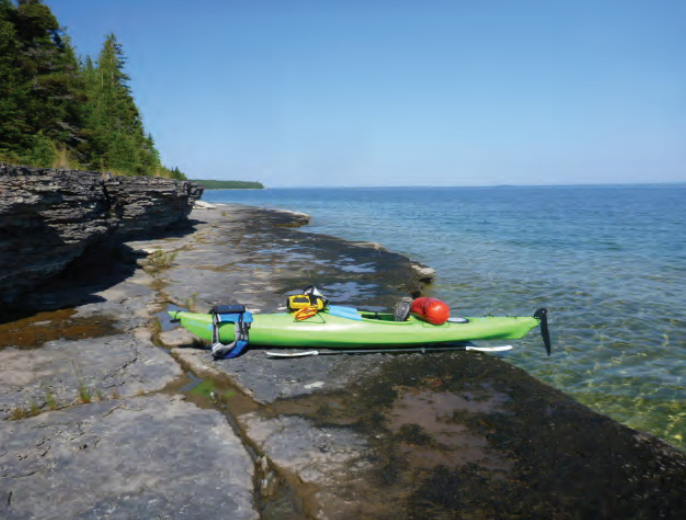 Drummond Island is a paddler’s paradise of sheltered bays, forested islands, and stone-studded shorelines in northern Lake Huron. The Island and its many satellite islands combine to form a marvelous playground for seasoned kayakers. Drummond’s quiet bays and forested shoreline can also be explored and enjoyed by less experienced paddlers on day trips and overnighters, provided they select a route geared to their experience level. With that said, the Drummond archipelago is particularly suited to veteran kayakers. Drummond’s waterways feature long sections of exposed shoreline, and exploration of some of the outer islands in Potagannissing Bay require open crossings of a mile or more. 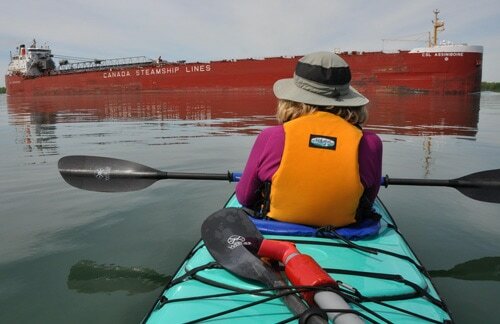 If one sets out to navigate the waters surrounding Drummond you should always be mindful of the fact that perspective changes and what is familiar from land is not always so clearly recognized from the cockpit of a low riding kayak. Always plan your paddle and paddle your plan! 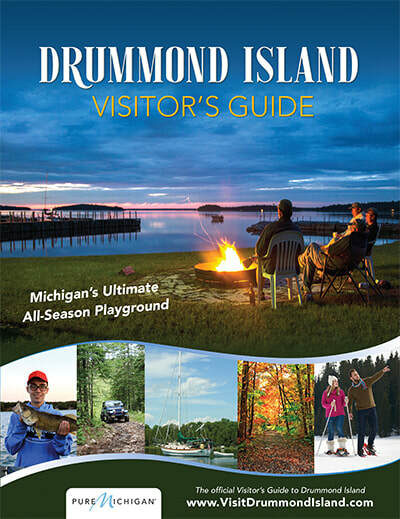 If you need help laying out your route, simply stop by the Drummond Tourism office. Our local experts will share their knowledge and experience in an effort to make your paddling experience a successful adventure! ​Drummond Island has over one hundred fifty miles of coast and inland shoreline to explore - all plotted out via the DITA recreational map and easily accessed from multiple public launch points. 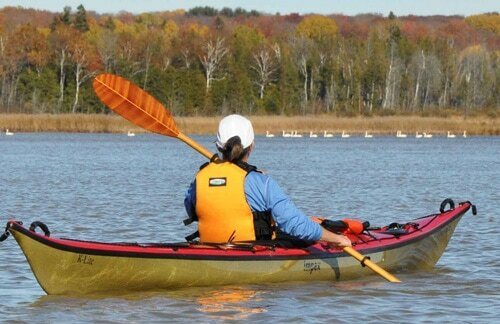 There’s much to explore by kayak or canoe, whether it be our smaller inner-island lakes or the Drummond Island Heritage Water Trail - where points of interest are linked around a 60-mile loop. 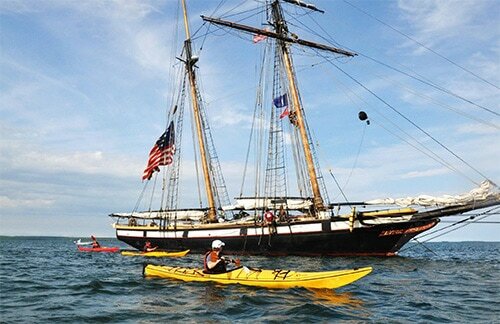 From easy paddles in our inner bays to high adventure risk and challenge circumnavigating the entire shoreline - paddling the Island’s waterways is a true Up North experience! 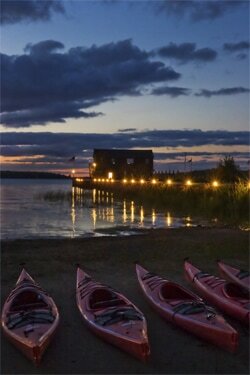 Our scenic shoreline awaits you for the ultimate paddling adventure! Escape your land-locked life. Paddle Drummond Island. Drummond Island is the center of two significant water trail systems. The Drummond Island Water Trail circumnavigates Drummond Island, while the Island Explorer Water Trail takes in four major islands en route to Lime Island in the St. Marys River. Both are unique adventures that offer breathtaking views that you're not likely to find anywhere else in the world. The above ​Water Trail photos are courtesy of Gary DeKock. Paddlers must be honest with themselves concerning their skills and abilities and have an understanding about the environment they are going into. Keep your body in good physical condition, and know how to swim! Get Qualified Instruction. As little as an hour of instruction can significantly reduce chances of a serious incident. Learn CPR, learn Hypothermia Recovery skills and First Aid. Learn Self Rescue and Deep Water Rescue. Think and practice safety on all waterways, all the time. Wear your life jacket, especially in cold-water conditions and in open water boat traffic. Don’t paddle alone, always with a partner and wear a Dry or Wet Suit. Dress in layers corresponding to changing weather conditions. Learn to read the waterscape, and know your ability in open water conditions. Create a float/travel plan and leave it with someone. Include the time and place of launch, destination, take out, and estimated take out time, a description of your vehicle, License plate # and colors of the crafts being launched and used in you party. Paddlers must be prepared to accept the risks that come with the setting. No Alcohol or Drugs. They do not mix with open water. Maintain gear throughout the year. Learn to tie ropes and other tying materials. Avoid paddling at night. Use headlamps when needed. Use a spray skirt when there is wind and waves. Cold Water​ - A person in 40 degree water will experience impaired judgment, numbness, loss of body control and movement, uncontrolled shivering, and potentially, loss of consciousness in as little as 12 minutes. Stay close to shore when at all possible and remember the big ships have the right of way!